You’re excited because the camper is packed. You’ve picked a dream vacation spot. The only thing left to do is find that perfect campsite. But, finding that ideal spot with the hookups, amenities, location, and vibe you want may not be all that easy with so many options out there. Sometimes you have to settle for less than a perfect campground to be in the area you want or give up some amenities to stay within your budget. 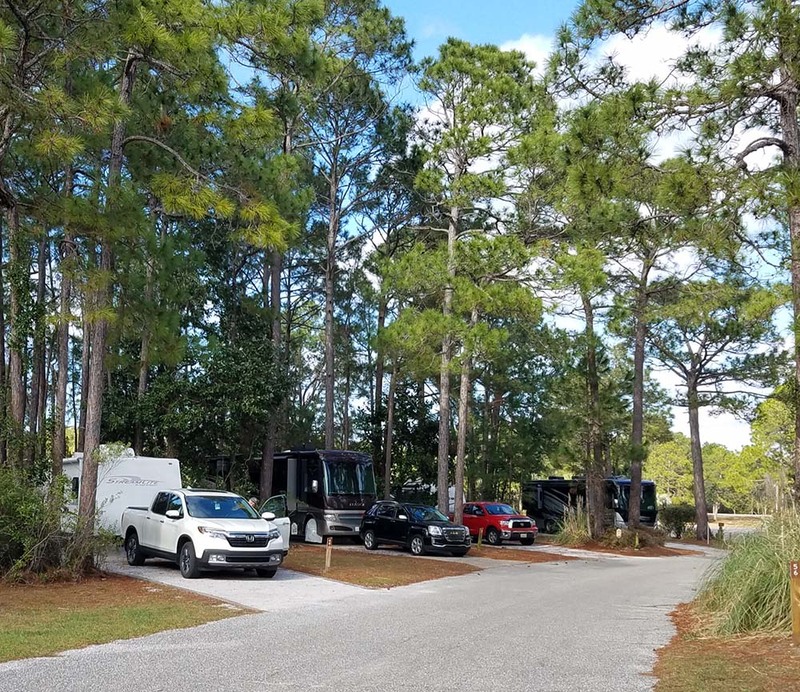 There is a lot that goes into selecting a campground and we want to help you with some tips and resources that we have learned and used over eight years of traveling fulltime in our RV. A disappointing campground can really ruin a vacation and leave you with a bad impression of an area so we want to help you avoid that. It’s best to know what type of campgrounds are available to help you narrow your search and we’ve divided that into three categories of camping – Public, Private/Commercial, and Dry Camping/Boondocking. If you want to camp nested in the grasslands without another camper in sight, search for a boondocking site. Taking the grandkids along and wanting lots of activities within the park to keep them occupied? 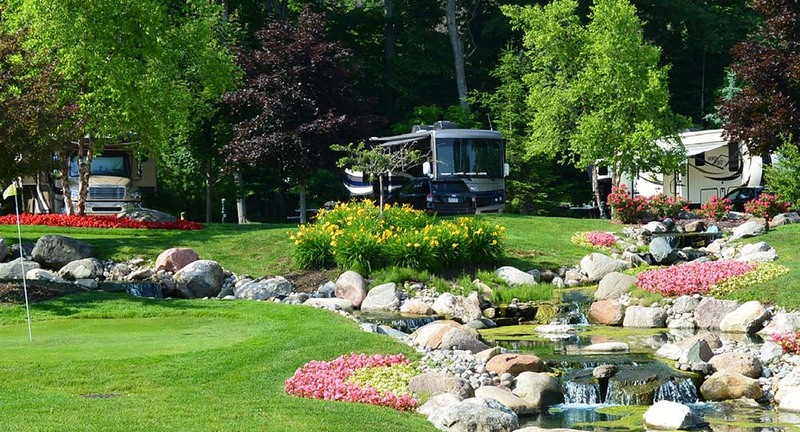 A private RV park like Jellystone or KOA Destination may be your best bet. Or, maybe you want the tranquility of a state park with hiking trails and evening campfires to let you commune with nature. With over hundreds of thousands of campgrounds there are lots to choose from, keep in mind what experience will best suit you. These include federal, state, city, and county facilities that vary widely in site condition, hookups, amenities, and cost. Public campgrounds may be a little farther off the beaten path but offer a great respite in a natural setting with an abundance of outdoor recreation opportunities. Many of these campgrounds allow you to have campfires and will provide a fire pit and often a food grill over the pit. For seniors, many of these parks offer great discounts that can reduce camping costs up to 50%. Keep in mind that public campgrounds tend to be more rustic with less amenities and smaller campsites and may not fit big-rigs. You may be giving up the luxury of sewer and water to have a quiet campsite nestled under the tall trees, but that may be worth it. 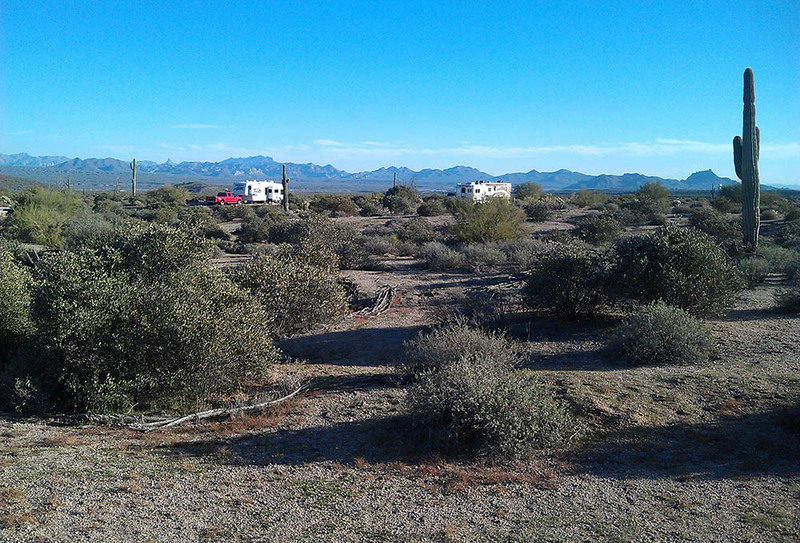 Private and commercial campgrounds are widespread and easy to find. Here you will find a wide-range of amenities and enjoyment for the entire family with hay rides, bouncy pillows, outdoor patio furniture at your site, heated swimming pool, dog park, and much more. But beware, these services usually come with a hefty price. 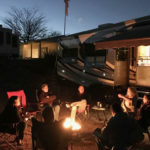 Some of these campgrounds are destinations within themselves and campers can find enough to do within the campground that they never leave the property during their stay. Dry camping refers to camping without any hookups such as at a casino, Walmart, rest area, Cabela’s/Bass Pro Shop or even a friend’s driveway (commonly referred to as “moochdocking”). Some campgrounds also offer dry camping options and you still get access to all the campground amenities. Boondocking takes things a step farther referring to camping without hookups outside of a developed campground which mostly occurs on public lands (like Bureau of Land Management and National Forests) in remote areas. Boondocking is more common in western states whereas these places are more difficult to find in the eastern U.S. Another option is to join Harvest Hosts which is a fee membership program that lets you park for free overnight at farms, vineyards, breweries, museums, golf courses and more. Trying to save a little money and reduce nightly camping costs? These options may work for you as camping is usually free or at a nominal cost. Start your campground search by deciding what it is you need and want out of a campground to have the best experience. These two factors can be quite different and melding them may not always happen at the same campground. Do you need a big-rig accessible site? Is the family pet traveling with you? Then you need a campground that is pet-friendly (make sure you check first, not all campgrounds allow pets). Or do you want lots of amenities to keep you and your family busy with zip lines, disc golf, swimming, and volleyball? If you want to enjoy s’mores around a campfire at night then confirm the campground allows open fires. Amenities vary widely among campgrounds and, in most cases, the more amenities that are offered, the higher the nightly cost for your site. You may want to forgo some of the amenities for a cheaper campsite, especially if you have most of your daily activities planned outside the campground which is merely just a place to sleep. Now it’s time to go about actually finding that campground. There are so many resources available that you could spend hours and days sorting through all of the information, leaving your head spinning. After getting familiar with these websites, you may find two or three that are your go-to resources. We begin our search simply by going to Google Maps and searching for “campgrounds” or “RV parks” near our desired location. This is a good start to visually see what is available in the area. It’s best to use both terms because sometimes public facilities are identified as “campgrounds” but are also suited for RVs. Next, we use some of the resources below to get more detailed information. ReserveAmerica – This is the go-to website for state park bookings (most states use this platform but not all). The website provides information on the campground, amenities, detailed site descriptions and allows you to see availability and book a site. Recreation.gov – This website is similar to ReserveAmerica but designated for federal facilities like U.S. Army Corps of Engineers and National Forest Service sites. It is the same format as ReserveAmerica so you will recognize similarities. Campendium – This website has a super easy searching platform which includes reviews. The first thing you see when you pull up the website is a box asking “Where do you want to camp?” From there, you can search by state, free campsites, by National Forest and many more options. Corporate Websites – Many corporations like KOA, RVontheGo (Encore and Thousand Trails parks), Jellystone, etc. have their own websites so if you know that you want to stay at one of these parks, it’s easiest to go directly to their website. Escapees Park Locator – This online mapping tools is a great way to plan your route and find discount camping options along the way. Escapees goes one step farther and displays club events, work opportunities, and more useful information. 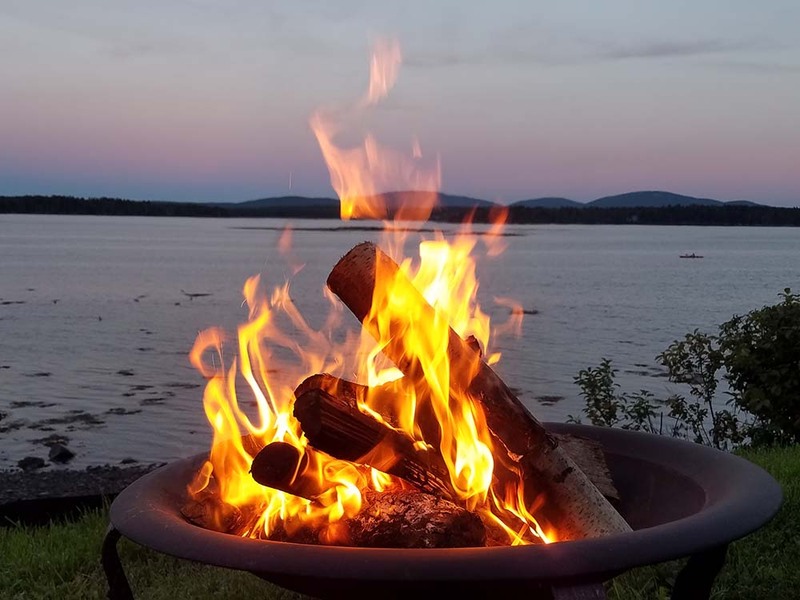 Ultimate Campgrounds – This is an interactive searchable database that provides comprehensive and accurate information about public campgrounds in the U.S. and Canada. The map searching feature is easy to use – just zoom to a particular area and browse campgrounds. Click on the facility you are interested in for a general description about the campground and campsites they offer. 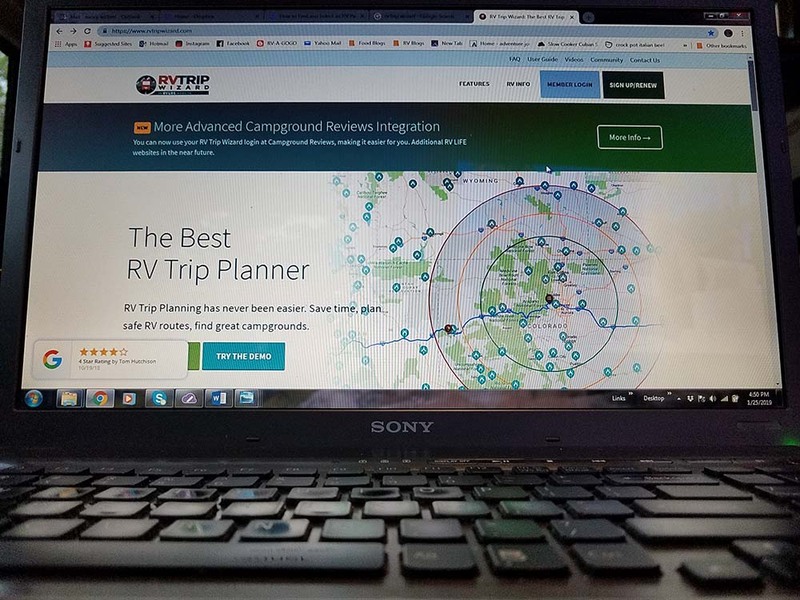 RV Trip Wizard($) – RV Trip Wizard is a comprehensive trip planning website that allows you pick a route and see all available campgrounds and read reviews on them. Additionally, you can see gas stations, attractions, estimate trip cost, and more. Rover Pass – They call themselves the “RVer’s online travel agency.” On this website you can search over 20,000 listings, book a site, and save your favorite campgrounds for future reference. 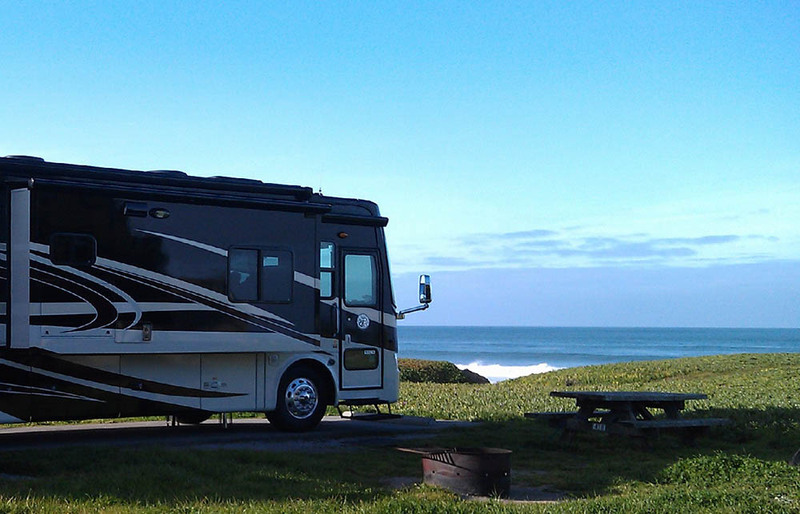 RV Parky – This database was built by a full-time RVer and provides information, images, and reviews for over 25,000 RV Parks and campgrounds in the United States and Canada. This website is very user-friendly. Hipcamp – Hipcamp can be described as the Air B&B of camping and promotes the concept of land sharing. Hipcamp features a database of over 300,000 camping options that include traditional campsites but go outside the normal and include private property, ranches, vineyards, and farms. You can search based on nightly cost, location, and whether you are camping in an RV, tent, or prefer to rent someone else’s yurt or cabin. U.S. Campgrounds – A great repository featuring over 13,000 U.S. (and Canadian) public campgrounds. Here you will find additional information like latitude/longitude for your GPS or smart phone, campground amenities, phone numbers and website links for the campground itself and associated reservation system. Very helpful in looking for free boondocking campsites. Boondockers Welcome/Harvest Hosts($) – These services require a membership fee but allow you free overnight stays. Boondockers Welcome is a group of individuals who allow you to park on their private property for the night. 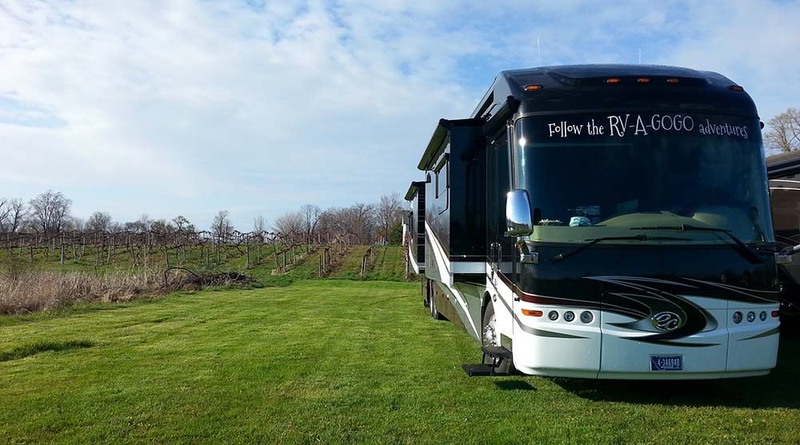 Harvest Hosts is a group of wineries, breweries, distilleries, museums, golf courses and more that allow overnight camping for self-contained RV’s and is one of our favorite places to look for overnight stays. Free Campsites – This is a very useful tool to find free and cheap overnight camping spots with the added advantage of route planning. Camper’s reviews help you decide if a spot is right for you. Camp and RV by Allstays($) – This is probably the most popular app for finding campgrounds. Not only will it show you the different RV campsites in a given area, it is also an interactive map so you can easily find gas stations, rest areas and stores which is perfect for comprehensive travel planning. The Dyrt – This is a relatively new site that has rapidly expanded their searchable database. Not only can you search for a campsite but there are lots of reviews. 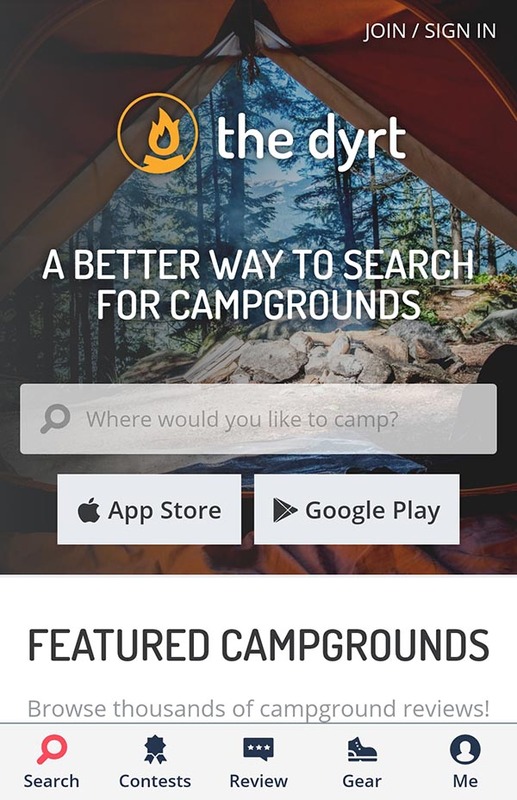 The Dyrt encourages people to submit reviews by giving away prizes. The concept is simple, you submit a review and get points. Adding pictures and sharing on social media gets you more points and the camper with the most points per region wins prizes. Beware, some reviews are not very helpful as people are just trying to get points and not concentrating on providing useful campground information. A lot of the reviews are from tent campers and many do not address issues related to RVs like the placement of hookups, television reception, how level a site is, and whether big-rigs can fit. Before you make that final decision and put your money down, you might want to read reviews from other campers. This is where we caution you to take these reviews with a grain of salt. Some campers are negatively affected by certain aspects of a campground that may not bother you. For instance, a campground may get a horrible review because the person that greeted them in the office was not the friendliest. Yet, everything else about the campground was great! Or, a campground may not have been easy for a 45’ RV to navigate but you have a small pop-up and narrow roads are not a problem. Here you have to sort through the information to decide what is relevant and impacts you. Reading campground reviews can be very helpful but also time-consuming so don’t exhaust yourself before your vacation even starts. One way to avoid subjective reviews from other campers is to look at photographs or aerial imagery. 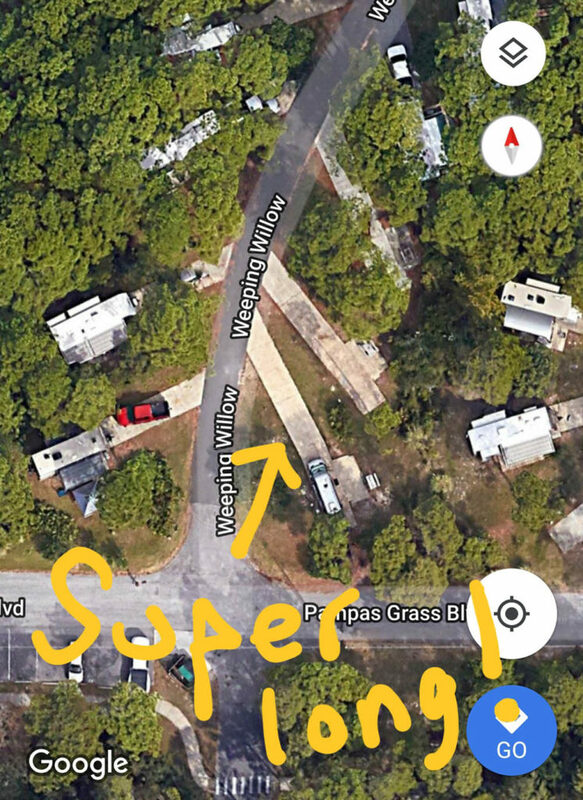 We use this resource to decipher if our 45’ motorhome will fit into a particular site, how close campsites are, the amount of shade, and various other aspects of the campground. Some of the resources we use are CampsitePhotos.com, Google Earth, and Googles’ satellite image view. Here are some websites we find helpful to review campgrounds. Remember some of the websites listed above also have reviews. 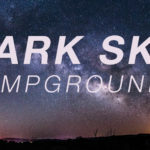 Campground Reviews (formerly known as RV Park Reviews) – This is probably the most comprehensive and oldest review website with lots of information and is the first place we start. The database includes nearly 350,000 reviews from campgrounds spread across the U.S., Canada, and Mexico. One of the nice features of this site is that they list nearby campgrounds in neighboring towns in case you don’t see anything you like in a particular area. Blogs – The number of RV-related blogs is extensive. Blogs are a tremendous resource providing great information about travel destinations, the RV lifestyle, and campgrounds visited. Many bloggers have a dedicated page for campground reviews with helpful information and pictures. RV Buddy – RV Buddy has hundreds of reviews covering campground and RV Parks throughout the United States. This site is very easy to use and gives you many search options either by state, region, park name, or along interstate routes. Campsite Photos – This repository contains photographs of over 1,400 campgrounds, many of which include state and federal facilities. In addition to the photos, each campground page has information about the campground and a link to make a reservation. This site also has a forum page, featured blog posts, and helpful camping resources. Sometimes a photo can be the best review. Now that you have selected the campground, there is one last decision to make. To book or not to book? For some parks, advance reservations are a must. If you want to camp in Yellowstone National Park in July, you better book early. Many campgrounds swell to capacity in the peak seasons and you risk not getting a campsite if you don’t make advanced reservations. The downside of reservations is that you may have to cancel and pay a fee or lose your money all together. A few years back, we lost the nearly three hundred dollars in advance payment we sent to a campground because we had to change our travel plans due to our dogs’ illness. Always check a campground’s cancellation or change policy if you decide to book early. Sometimes it’s worth the peace of mind knowing that you have a campsite already booked. If all this leaves you exhausted, it’s time to step back. Finding that perfect campsite can be as time consuming and complicated as you make it. The amount of time you spend surfing the web for campgrounds and checking out reviews is totally up to you. One person I know (the other half of RV-A-GOGO) pulls out the KOA guide and makes a decision within two minutes. That may be quick but it may not be the closest park to the town we want to explore or the cheapest, but it is easy. I, on the other hand, tend to spend an exorbitant amount of time looking for that “perfect” campsite. Always remember, camping is about the experience and what you make of it! Nancy and Betsy are the co-authors of RV-A-GOGO, a blog they started in 2011 to chronicle their travel adventures living fulltime in an RV. 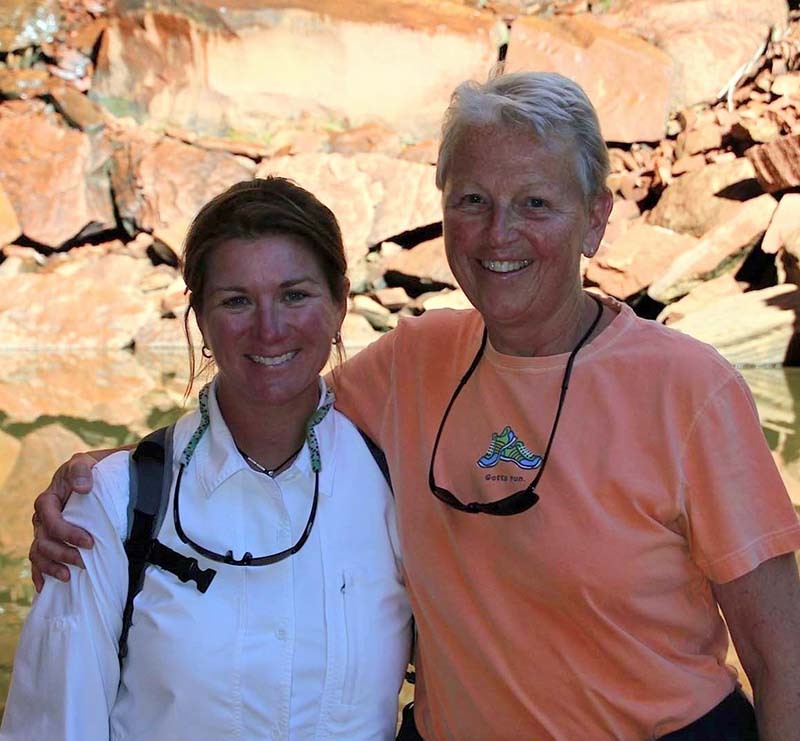 They retired from wildlife conservation careers, and after traveling the world, are now crisscrossing America seeking out everything there is to explore from natural wonders and historic landmarks to quirky attractions and divvy restaurants. Their blog provides readers with information about travel destinations, “must-see” attractions, the RV lifestyle, recipes, campground reviews, and more.